The sciatic nerve runs down the lower back, through the buttocks, and into the legs. Sciatica pain usually begins with complaints of lower back discomfort, which is often related to a herniated disc or spinal stenosis (the narrowing of the space within the spine where the nerves travel). Both of these issues may lead to worsening low back pain, hip pain, and leg pain, as well as numbness, tingling, and muscle weakness. Both a herniated disc and spinal stenosis put unnecessary pressure on the sciatic nerve, which is the largest nerve in the entire body. Sciatica pain is a result of that pressure, and it can incredibly painful, stressful, and frustrating to live with. There are several methods for managing sciatic pain that many turn to in order to find relief. Some options include muscle relaxers, pain killers, rest, or even physical therapy. But these aren’t always effective in easing sciatic pain. Some may even turn to surgery as a last resort to correct sciatic pain. Before considering an invasive surgery, know that there is another option. Chiropractic care from a Bentonville chiropractor is a non-invasive, effective method for alleviating pain associated with the sciatica nerve. The main focus of chiropractic care from Bentonville chiropractor Dr. Tom Niemela is to improve overall health and wellness by focusing on the relationship between the spine and central nervous system. Nerves are connected to the spinal cord and can be affected by poor spinal health, or misalignments of the spine. 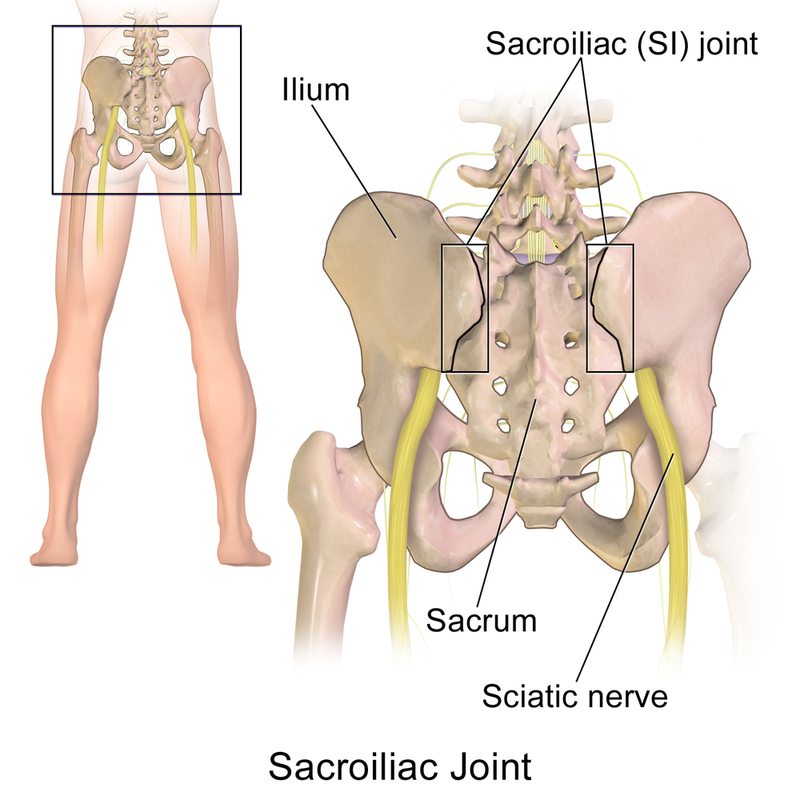 A misalignment of the lumbar spine (in the lower back) can affect sciatica. Because chiropractic care focuses on removing misalignments to improve overall function of the body, it is an obvious choice as a method for managing sciatica pain. Dr. Tom Niemela will perform a gentle adjustment to remove misalignments, specifically focusing on herniated discs, to not only improve your sciatic pain, but also to increase your body’s ability to function properly and improve your overall health. Addressing the root cause of your sciatica pain ensures that it doesn’t return. It also gives you a safe and effective method for alleviating your pain without the risks of medicines or surgeries. Bentonville chiropractor Dr. Tom Niemela has helped others find relief from sciatica pain, and he can help you, too. If you are unsure as to whether or not chiropractic care will really work, rest assured that many others have found a resolution to sciatica pain by seeking chiropractic care. In fact, sciatica pain is one of the most common complaints among those who visit chiropractors. One particular case study looked at a female with fibromyalgia, migraines, and chronic back and neck pain, along with sciatica pain. Within 6 months of beginning chiropractic care, she experienced a 98% resolution of her complaints. Additionally, a male with hypertension along with wrist and sciatica pain saw a 100% resolution of his health concerns after just 2 months of chiropractic care. Relief is possible. Find out more about neurologically-based chiropractic care and its effect on sciatica with a visit to Dr. Tom Niemela at Arbor Vitae Chiropractic. Alibhoy, N. “Resolution of Fibromyalgia Following Upper Cervical Chiropractic Care: A Case Study.” Journal of Upper Cervical Chiropractic Research, 2011 June: 39-44. Chung, J., Brown, J., Busa, J. “Resolution of Hypertension Following Reduction of Upper Cervical Vertebral Subluxation: A Case Study.” Journal of Upper Cervical Chiropractic Research, 2014 Jan: 1-6.